﻿Most of the time, I'd rather just enjoy my food rather than take photos.﻿ It is simply not easy... cooking, then taking pictures, cleaning up, then editing, then writing the recipe, and editing again...phew, It's exhausting. This is why I had decided to take a break from food blogging, before coming back with my latest food blog posts. Anyway, is it Matzah or Matzo? I don't know. I am not Jewish. 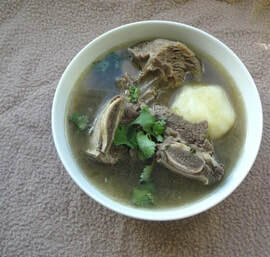 But either way, this is one of my favourite soups, and dishes of all time. 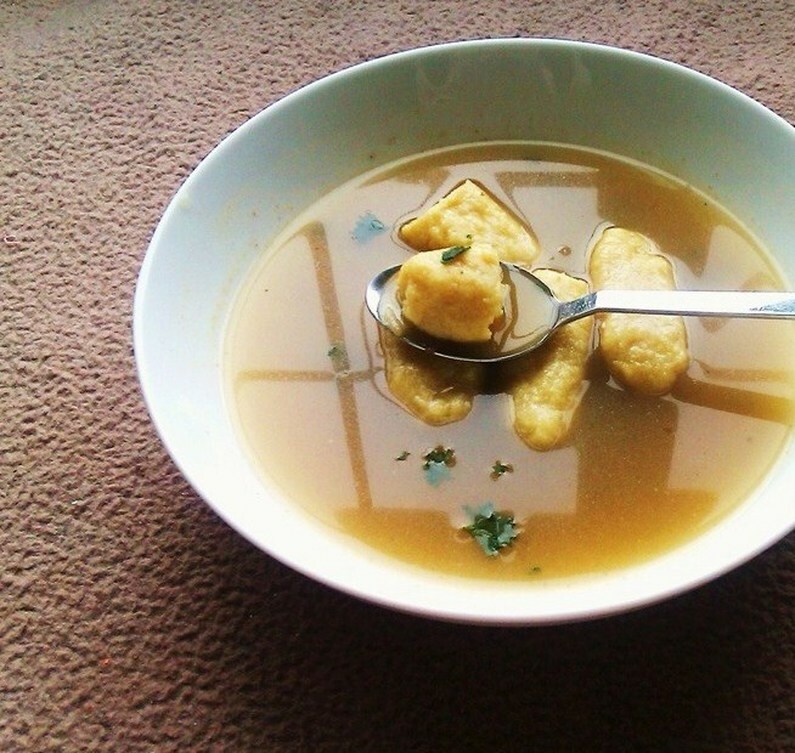 I make it quite often, in fact Matzo Meal is a must have in my desired pantry. 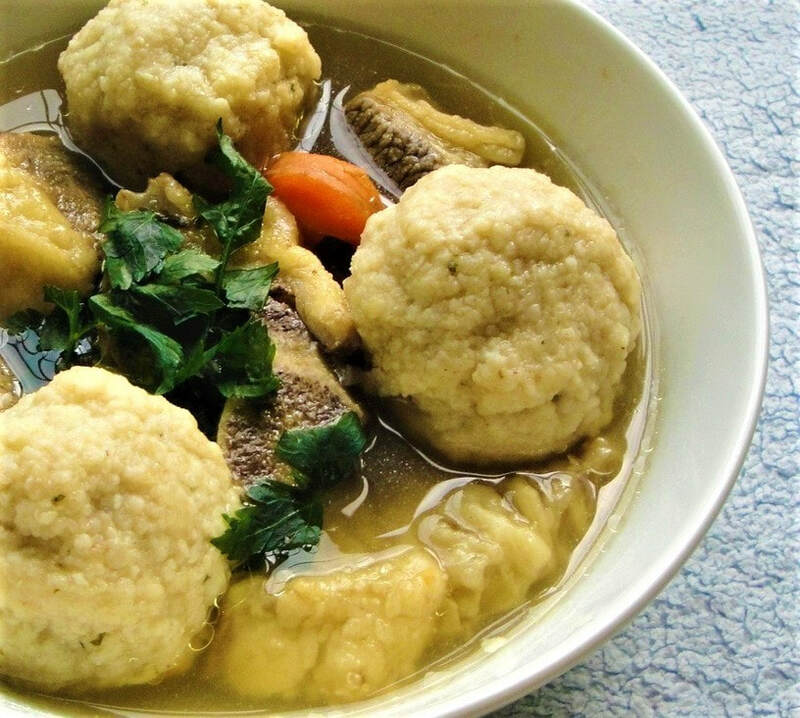 Matzo Ball soup is always made with chicken, or chicken stock in the Jewish world. 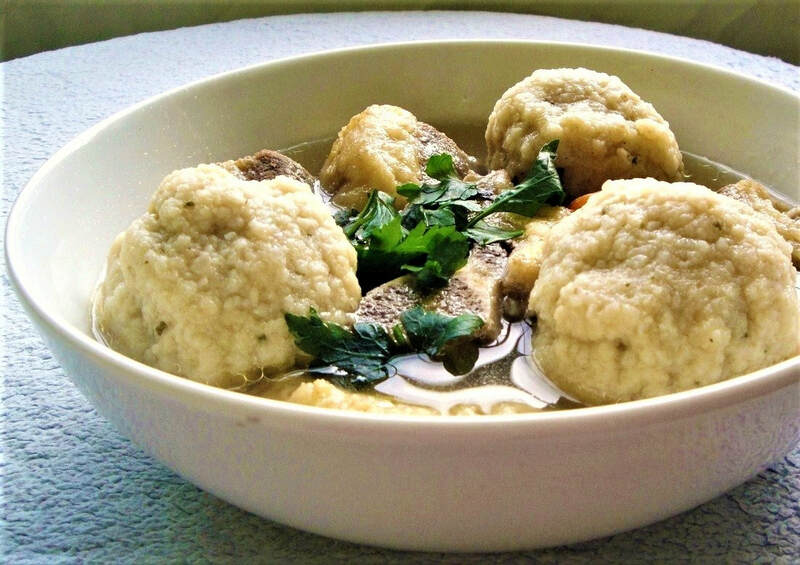 Sometimes it's served with shredded chicken, some people just serve the broth with one or two Matzo Balls. 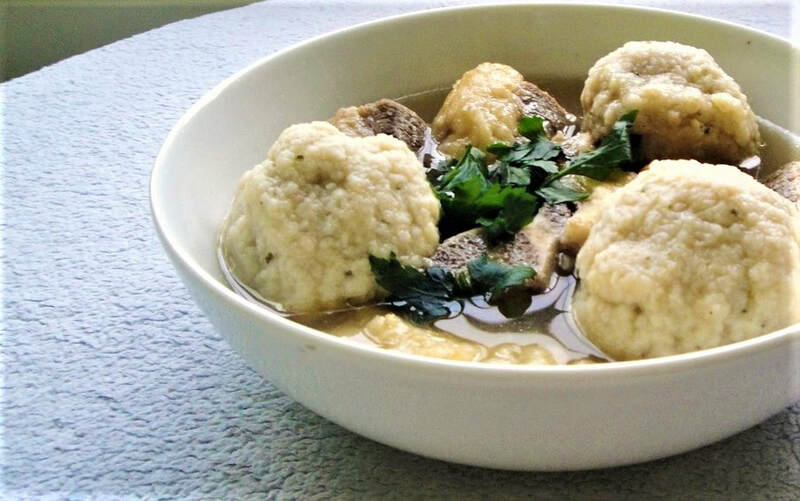 All versions are good, but I prefer to serve Matzo Ball Soup with chunks of beef brisket-on the bone. 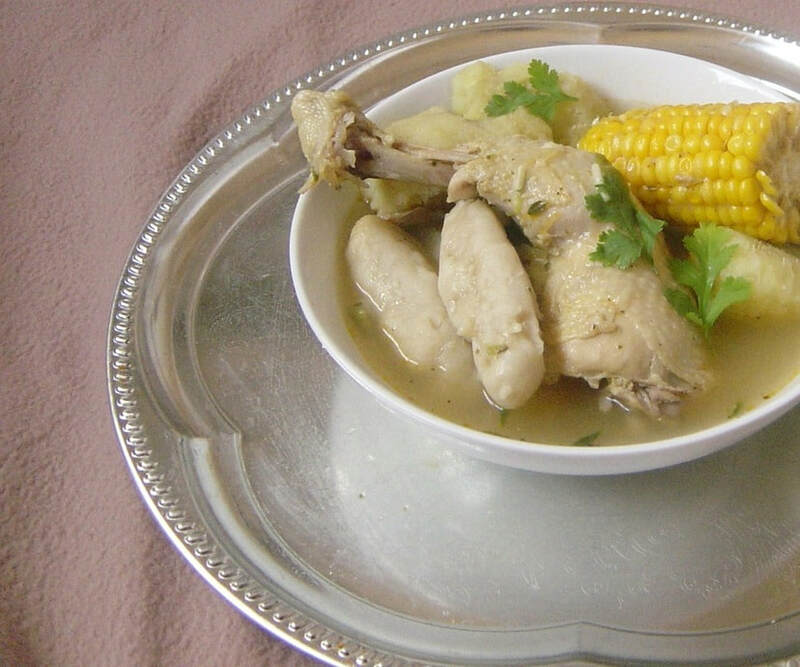 I have had enough of chicken in soup-in my lifetime. 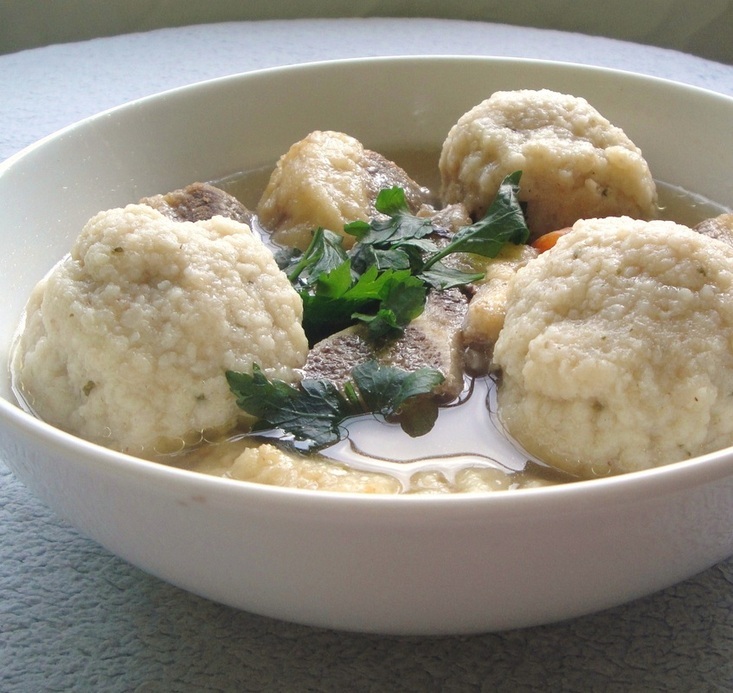 Besides, the soft tender chunks of beef pair better with the light fluffy Matzo balls, in my opinion. This is my little twist on the soup. 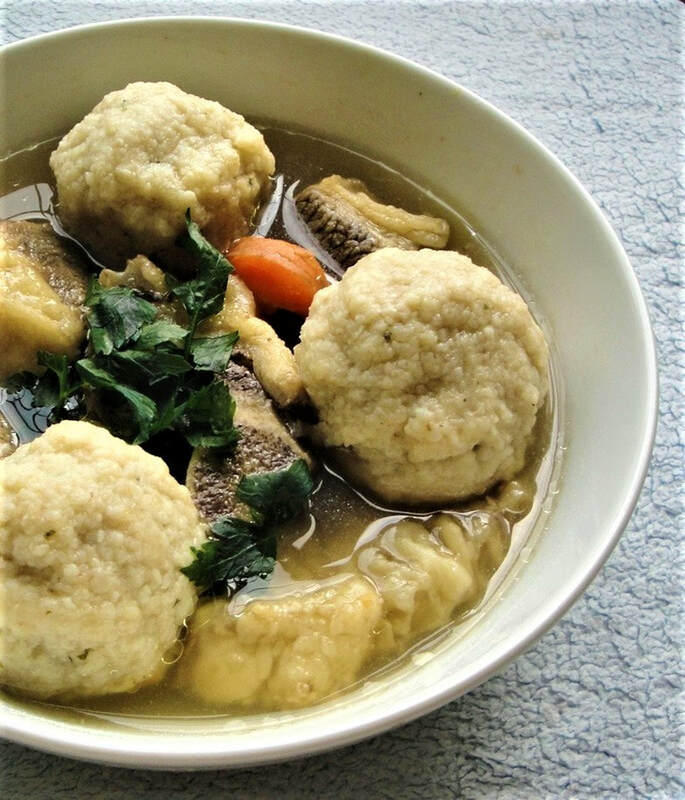 One of the most important aspects of making this soup is making sure the Matzo balls are seasoned properly, otherwise they will be tasteless. The other extremely important thing is to make sure the broth is delicious. In the Jewish world, they use the term floater, or sinkers, for the balls. Floaters are light and fluffy and rise to the surface. Sinkers are the ones that are dense, hard, and don't rise to the surface. Most people tend to prefer floaters, fewer people like sinkers. 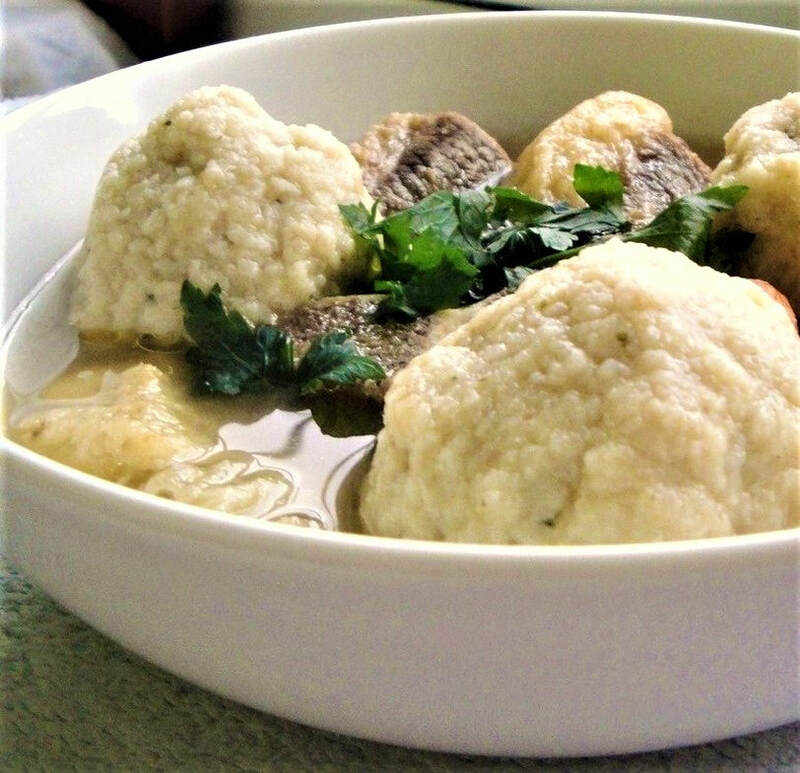 My Matzo balls always rise to the surface and are always light and fluffy. Boil them on high heat for ten minutes, during this time they should rise to the surface, and then lower the heat and steam them for no more than twenty minutes. Put a large pot on medium heat, and add 1/4 cup of water, and 2 tbs of light soy sauce, and heat for three minutes. Then add 2 to 3 pounds of beef brisket (on the bone) to the pan, and saute the beef in the soy sauce. Then sprinkle 1 tsp of salt over the beef, and stir in with the sauce. Then fill the pot with approximately 10 or more cups of water. ADD 1telma chicken stock cube, and add 1 carrot cut into chunks, 1 whole onion peeled, 1 whole unpeeled garlic cut down the centre, 1 stalk of celery sliced, and bring to a boil. Boil for ten minutes, then turn to low heat, and add a fresh bunch of parsley. As it cooks, add salt and pepper to your taste, and stir when necessary. Cook until the beef is tender and the broth is flavourful. When the soup has finished cooking, strain it two or three times, covering the strainer with a paper towel, for a clearer broth.